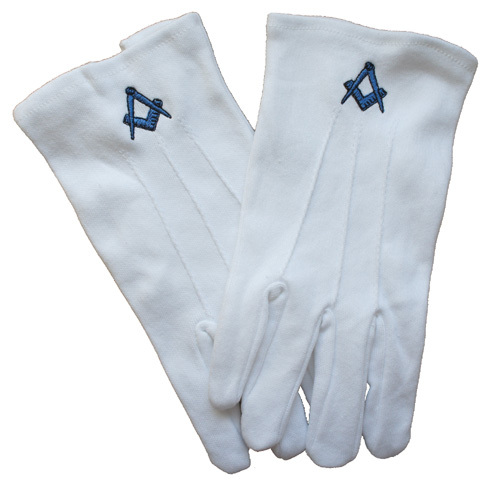 These Masonic white gloves are made from 100% cotton. They have the symbolic square and compass embroided in blue just below the top of the wrist on each glove. The gloves are fastened with a discrete button on the underside of the wrist and are available in 3 different sizes. The size range of Medium, Large and XL is based on a Unisex scale, so a man with a small hand would fit in the Medium glove, and a medium sized mans hand would fit the Large etc. I would like to say THANK YOU VERY MUCH for such quick servi ..